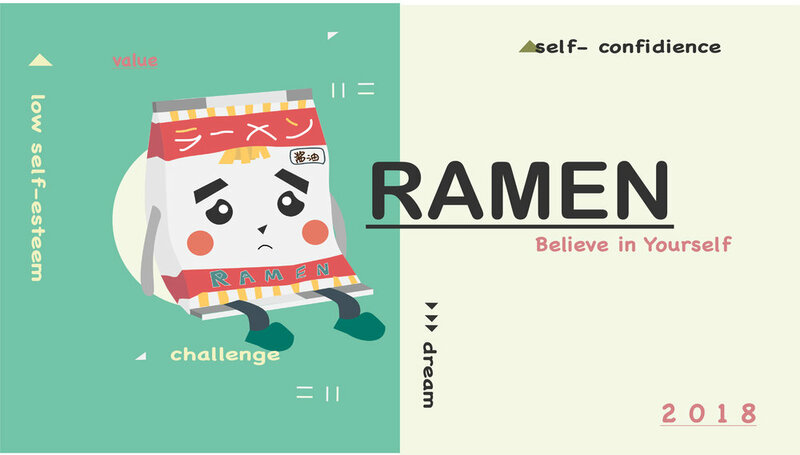 Ramen is an animation which seeks to inspire people to believe in themselves. It depicts a story about Ramen who is from Japan looking for a new life in China. Ramen is shy and has low self-esteem and therefore faces great challenges in his journey to overcome his insecurities and chase after his dreams. Low self-esteem affects many people in China, especially in Chinese universities where social class contributes to such problems (Cooper, 2017), where undergraduate students from poor areas do not have enough money to pursue something that they want like study material and aesthetics. The animation aims to address this.